The J.D. Lewis Senior Citizens Center in Erin keeps our seniors active and involved by offering activities, games, crafts and great fellowship. An exercise group meets three times a week and an art class meets every Thursday. A favorite among the ladies is the quilting groups that meet every Monday. Their beautiful quilts are donated to children through our local law enforcement agencies. Seniors can also receive health screenings at the center and potluck meals are offered several times a year. Information is shared each month through newsletter. In 1976, a group of dedicated individuals volunteered their time and expertise to begin a facility for the Senior Citizens of Houston County to congregate, participate in educational and recreational programs and enjoy the fellowship of old and new friends. A Board of Directors was established and the work was begun. 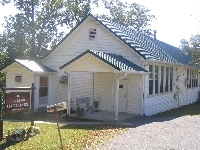 Vernon Knight, County Executive, applied for a grant to repair the Arlington School House, J. D. Lewis, Former County Agent, with the assistance of Attorney William Knott, prepared the Charter and Verna Lou Kizer Lewis, HREC Neighborhood Service Center, recruited participants and Board members. The Board consisted of Dewain Pryor, Chairman; Olive Averitte, Ralph Boone, Irene Carter, Donnie Lewis, Rev. Paul Moody, Laura Richardson, Bob Shores, Thomas L. Smith, Katherine Brown, Volunteer Secretary and Director of Accounts and J. D. Lewis, Volunteer Project Director. The Center was not open every day until another grant was received from the Tennessee Commission on Aging for the fiscal year of July 1, 1976 through June 30, 1977. This grant allowed Ms. Brown to be compensated for her duties. The Mid-Cumberland Nutrition and Transportation Programs began in October 1976 allowing hot meals to be provided each day and transportation to and from the center. Homebound meals were delivered each day to many residents in the county who were unable to leave their homes. In recognition of his hard work and service the Center was dedicated to J.D. Lewis in 1980, upon completion of renovations.